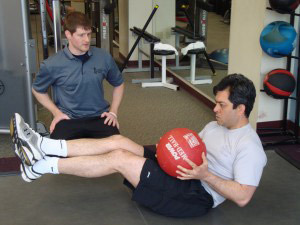 Rishabh Mehrotra had two main goals for starting his Personal Training with Robb Beyer. He wanted to reduce his stress levels and he wanted to quit smoking. He knew he needed to be an example to his daughters but also wanted to increase his cardio fitness. Rishabh works with Robb 2-3 times a week focusing on 30 minutes of circuit training on the TRX, free weight machines and cardio kick-boxing. Also, in his spare time, Rishabh takes spinning and yoga classes. 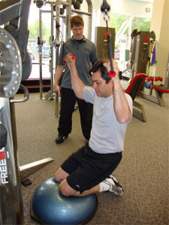 Rishabh knew exercise would help relieve the tension that builds throughout his typical work day. Running several healthcare companies, he travels frequently all over the country. Rishabh believes being in great shape helps his focus and mental acuity. After quitting smoking cold-turkey, Rishabh has been smoke free for over 2 years! Great work!